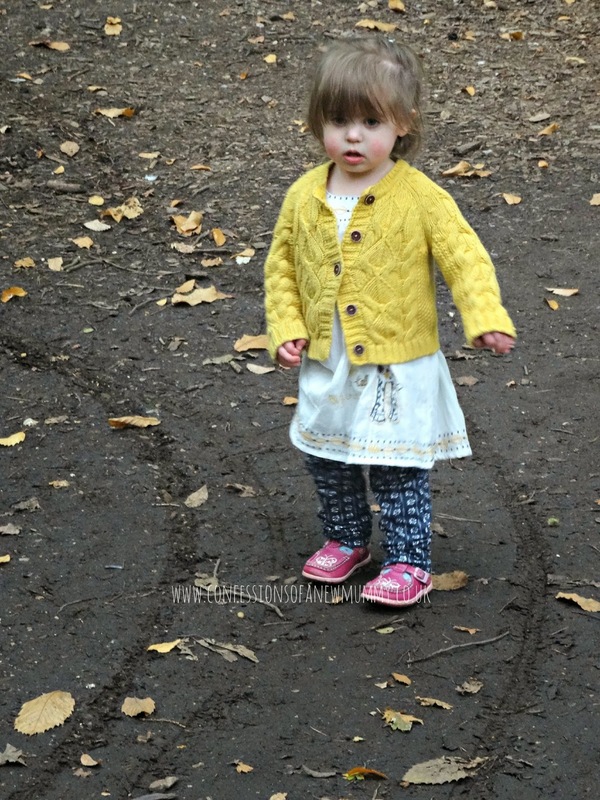 Taking a look at what the girls have been wearing this week and linking up to Trendy Thursday, a weekly linky hosted by Medicated Follower and Mothergeek's Trendy Tot Thursday, for bloggers who love to show off their children's style. E is really hating standing for the camera at the moment so its a case of snapping a pic before she moves again! I love this tunic and leggings set, unfortunately you cannot see it very well but that is an embroidered giraffe on the front. 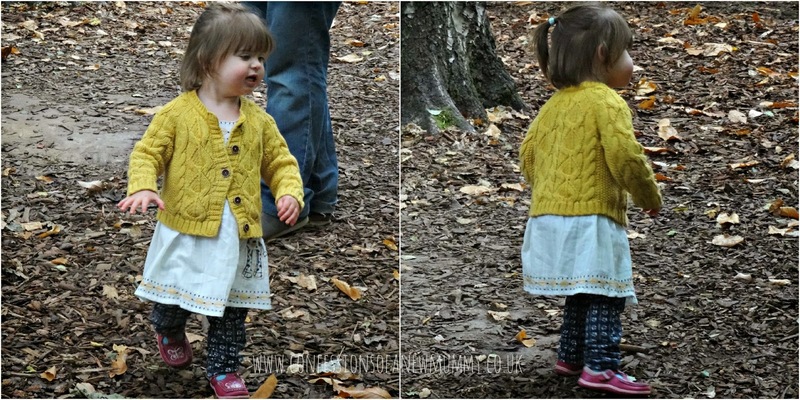 With the mustard detailing on the top I thought it paired well with this gorgeous cardi from Marks & Spencer (if you were to tell my 20 year old self that one day I would love Marks & Spencer, I would have laughed at you). Its a shame about the clashing pink shoes but I refuse to buy too many pairs of shoes for her whilst her feet are growing so quickly! She's so cute, That cardi is awesome. Perfect autumn colour.